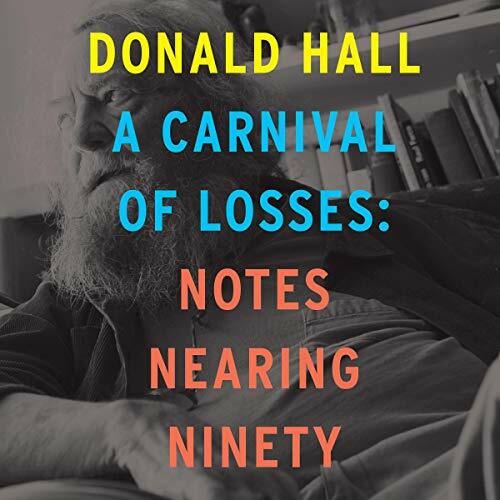 Donald Hall lived a remarkable life of letters, one capped most recently by the New York Times bestseller Essays After Eighty, a “treasure” of a book in which he “balance[s] frankness about losses with humor and gratitude” (Washington Post). Before his passing in 2018, nearing ninety, Hall delivered this new collection of self-knowing, fierce, and funny essays on aging, the pleasures of solitude, and the sometimes astonishing freedoms arising from both. He intersperses memories of exuberant days - as in Paris, 1951, with a French girl memorably inclined to say, “I couldn’t care less” - with writing, visceral and hilarious, on what he has called the “unknown, unanticipated galaxy” of extreme old age. “Why should a nonagenarian hold anything back?” Hall answers his own question by revealing several vivid instances of “the worst thing I ever did," and through equally uncensored tales of literary friendships spanning decades, with James Wright, Richard Wilbur, Seamus Heaney, and other luminaries. Cementing his place alongside Roger Angell and Joan Didion as a generous and profound chronicler of loss, Hall returns to the death of his beloved wife, Jane Kenyon, in an essay as original and searing as anything he's written in his extraordinary literary lifetime. ©2018 Donald Hall (P)2018 Brilliance Publishing, Inc., all rights reserved.